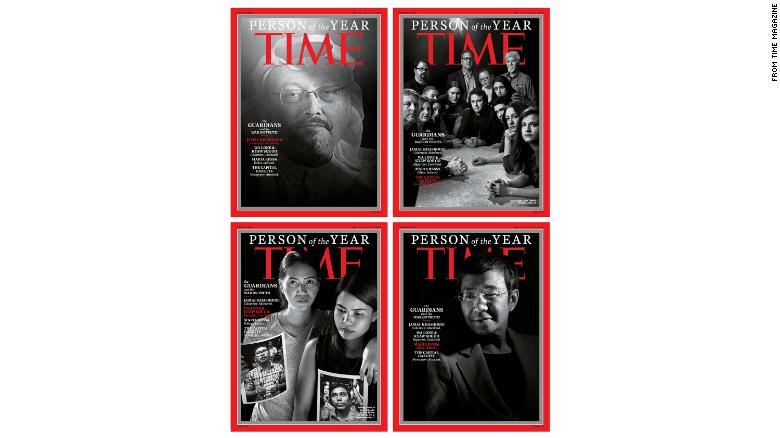 Time chose The Guardians as the most influential of the year.Time refers to the group of journalists targeted for their work as "The Guardians." The magazine released a series of four black and white covers, focusing on "the War on Truth." for all journalists seeking to expose the TRUTH and providing a check on corrupted leaders and governments. There are an awful lot of "journalists" that obscure the truth because it doesn't sell, because their bosses tell them to, or because it doesn't support their narrative. To me that's not journalism. I hope we get through this period of "post-factualism" but I'm not sure what comes next won't be worse. Real journalists don't. That's who they are referring to. Yep, it's called tabloid jounralism and Fox News. This is NOT whom Time Magazine was referring to. Does the Time Person(s) not sound like? We(the Press) are the People(s) of the Year. TIME MAGAZINE STORY OF THE YEAR 2019 THE 200 DAY SHUTDOWN THAT BUILT THE WALL. Yeah, let's begin the new year with some red and yellow cockamamie nonsense!